In 1992, a shipping crate containing 28,000 plastic bath toys was lost at sea when it fell overboard on its way from Hong Kong to the United States. No one at the time could have guessed that those same bath toys would still be floating the world’s oceans nearly 20 years later. The charismatic duckies have even been christened with a name, the “Friendly Floatees,” by devoted followers who have tracked their progress over the years. 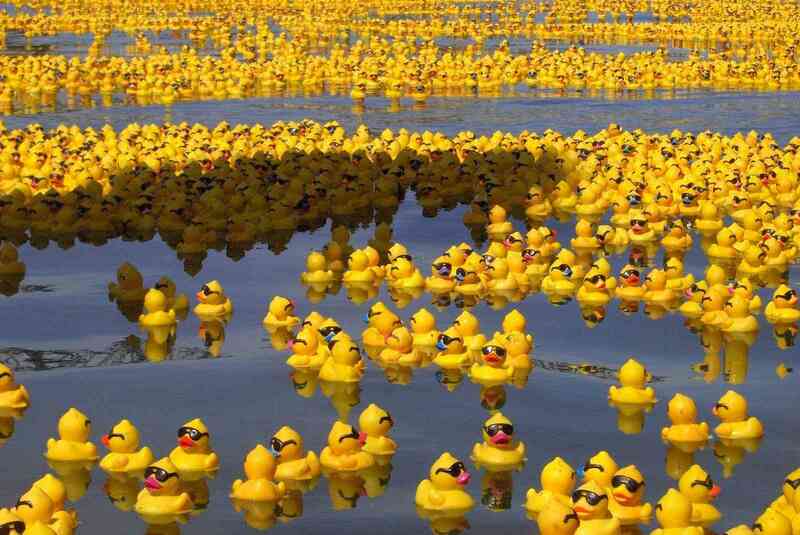 Perhaps the most famous Floatees, though, are the some 2,000 of them that still circulate in the currents of the North Pacific Gyre — a vortex of currents which stretches between Japan, southeast Alaska, Kodiak and the Aleutian Islands that the plight of the duckies helped to identify. Today the North Pacific Gyre is also home to what has been called the Great Pacific Ocean Garbage Patch, a massive island of floating debris, mostly plastic, that the gyre stirs like a giant pot of trashy soup. (A short documentary about the gyre paints a pretty grim picture.) 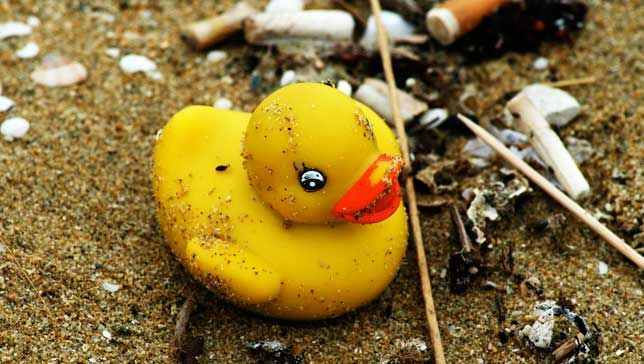 Though the rubber ducks have helped raise awareness about the gyre, most of what makes up the garbage patch is hardly so cute. Most of it consists of tiny plastic fragments and chemical sludge, but just about anything that floats which people discard can be found there. Today we know that there are as many as 11 major gyres across the world’s oceans, and all of them are potential vestibules for the world’s trash. And if the Friendly Floatees are an example for anything, it’s that plastic trash endures for a very long time and that it’s a global issue. 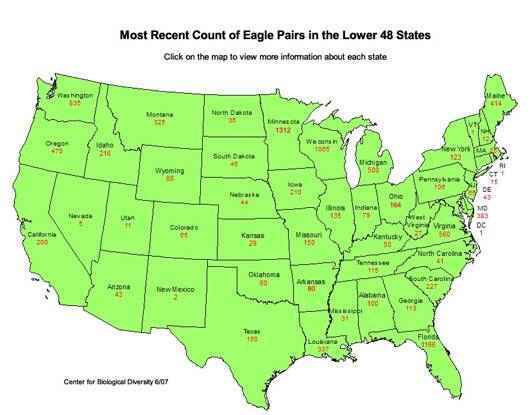 “The ones washing up in Alaska after 19 years are still in pretty good shape,” added Ebbesmeyer.